Elsewhere in this issue, we carry an article on Swami’s Drinking Water Project for people living in the East and West Godavari Districts of Andhra Pradesh. In this companion article, we focus on the broader topic of man, water, survival and sustainable development. On the face of it, this article might seem out of place in a journal like ours, since a good part of the article deals with issues of a socio-economic nature. 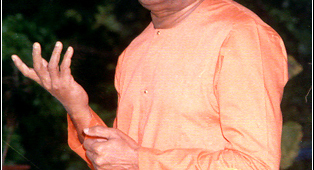 However, in as much as issues relating to water profoundly affect Society and since Society is God as Swami often reminds us, we believe the subject matter dealt with here is not only relevant to each and everyone of us but also has a deep connection with Spirituality, and thus with Swami’s teachings as well. In the Universe as God made it, there are about a billion, billion stars. This is a staggering and awesome number. Our Sun is also a star, although we are not accustomed to think of it that way. Seen in this fashion, our Sun is just one member of a huge family with a billion, billion “brothers”. It turns out, however, that of this astronomical number of stars or Suns if you want to think about it that way, only an extremely small number of stars have planets orbiting around them. And, of this very tiny fraction of stars with planets going round them it appears, according to present knowledge, only an incredibly small number may have planets [if at all], with conditions suitable for sustaining life as we know it on earth. Even in the case of our Sun, it is only the planet earth, the third from the Sun, which supports life. This is one of the many factors that make us humans special. Now the Supreme Lord in His Wisdom and Compassion has created conditions on earth such that we may all live comfortably. As a part of this package, He has provided us with air, water and land. I shall tell you of one form of worship which will endow you with divine strength. Godhead expresses itself initially as the five elements, the sky, the wind, the fire, the water and the earth. All creation is but a combination of two or more of these in varying proportions. The characteristic nature of these five elements are: sound, touch, form, taste and smell; cognised by the ear, the skin, the eye, the tongue and the nose. Now, since these are saturated with the divine, one has to use them reverentially and with humility and gratefulness. Ancients in all lands understood this and were grateful to God in their own different ways. We see this, for example in the Vedas. 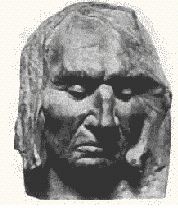 The Red Indians of North America too revered Nature and were often in communion with it. 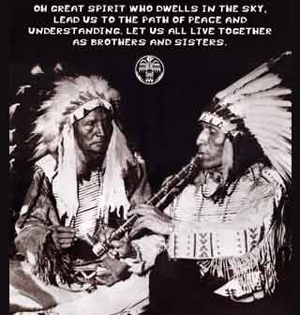 As is well known, the Red Indians are the true Native Americans. The white settlers, who came later, took away most of the land by force and the rest through one-sided “sale” agreements. 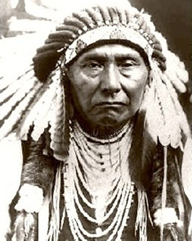 In the mid-fifties of the nineteenth century, the Government in Washington D.C. planned one such acquisition, and an “offer” of purchase was made to Chief Seattle. In reality, it was an order to Native Indians to give up their land rather than an offer of purchase. 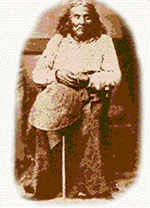 Chief Seattle had no option but to surrender the land in the name of a sale but on that occasion made a powerful speech, which has since become historic. Extracts are presented below, to highlight the Native Indians’ sense of veneration for Nature and their ancestors. Our religion is the traditions of our ancestors -- the dreams of our old men, given them in solemn hours of the night by the Great Spirit; and the visions of our sachems (chiefs), and is written in the hearts of our people. Every part of this soil is sacred in the estimation of my people. Every hillside, every valley, every plain and grove, has been hallowed by some sad or happy event in days long vanished. Our departed braves, fond mothers, glad, happy hearted maidens, and even the little children who lived here and rejoiced here for a brief season, will love these sombre solitudes and at eventide they greet shadowy returning spirits. However, in the rat race we are caught up in at present, we seldom take even a minute off to appreciate how vital air, water and land are for sustaining life. While we shall be focussing here on water, we should always remember that we could never speak of water in an isolated and fragmented manner. As we shall see later, any serious discussion of water would inevitably bring in many other related issues. Water is needed for all aspects of life. Since most of our body is made up of water, we necessarily have to drink water several times a day. Further, water is needed for producing food. Without water, we simply would not have any food to eat. Few realise, as we shall discuss later, that meat eaters too depend on vegetation; as someone put it crisply, even a tiger “eats” grass! Obviously, we cannot have grass without water. In other words, the entire issue of food security concerning which one hears much these days, is closely connected with water and its availability. creates conditions that favour the growth of specially adapted plants, and promote the development of characteristic wetland soils. Wetlands can be thought of as biological “supermarkets." They provide great volumes of food that attract many animal species. These animals use wetlands for part of or all of their lifecycle. Dead plant leaves and stems break down in the water to form small particles of organic material called "detritus." This enriched material feeds many small aquatic insects, shellfish, and small fish. To know more about wetlands, go here. Indeed, when considering food it is necessary to remember that there are many important components of the ecosystem that determine the food supply, such as croplands, rangelands, wetlands and forests, all of which have a great bearing on agro economics. (To know about Wetlands, go here). Thus, when we start talking about water in a serious way, the discussion would actually cut right across the whole gamut of human affairs and existence. Many of these points would be highlighted later, either in the main text or in supplementary boxes. Since life depends on water, it is no surprise that almost all the early human settlements were on the banks of or adjacent to good sources of waters, especially big rivers. Thus, we have examples of the Indus valley civilization located adjacent to the famous river Indus, the Sumerian civilization that flourished adjacent to the River Euphrates, and the Egyptian civilization that flourished on the banks of the River Nile. Even today, the great Mississippi River in America plays a vital role in the economy of the many States through which it passes. God has blessed man with a wonderful brain, thanks to which humankind has advanced tremendously. Indeed, the progress in the twentieth century is truly mind-boggling. It is because of this progress that there has been massive economic development. Development needs capital, and it is customary to recognise two kinds of capital inputs – the capital “contributed” by Nature and the capital contributed by man. While man contributes via intelligence and money, Nature makes material resources available via its in-built systems, including the ecosystems. For thousands of years when the population was small and man had not advanced much in technology, his contribution to capital was miniscule compared to what Nature contributed. It almost seemed then that Nature was an infinite reservoir from which one could draw endlessly and as much as one wanted. However, in a few short decades, all that has changed. Today, as technology is running away at breakneck speed, natural capital is fast becoming a limiting factor. However, most people are simply ignoring the warning signals, and that is vastly compounding the problem. Two key contributions made by Nature are water and the ecosystems. If these were to be strained beyond limit, then the future of humankind would be in great danger. It is this grave danger that has made a concerned few to worry about what is called sustainable development. Although this phrase is often heard these days, not many understand what it really means. It is appropriate therefore to take a minute off to explain the implications. Let us start with the term development, which basically means improving the economy and generating more wealth through more industries, business etc. However, all this calls for capital investment and, as already pointed out, there are two types of capital that come into play, that invested by humankind and that drawn from Nature. Humanity has now reached a stage where Nature is simply not able to cope up with increasing demand. If we overdraw, and that is what is often happening, then future generations would not get their share. Over a billion people do not have access to safe drinking water – around one-sixth of the world’s population. 2.4 billion people do not have access to adequate sanitation – around 2/5 th of the world’s population. 2.2 million people in developing countries, mostly children, die every year from diseases associated with lack of access to safe water and adequate sanitation. At one time, roughly one half of the world’s hospital beds are occupied by patients suffering from water-borne diseases. The average distance that poor women in Africa and Asia walk to collect water is 6 km. The weight of water that poor women in Africa and Asia carry on their heads can be anything up to 20 kg. In the past ten years, diarrhoea has killed more children than all the people who have lost their lives in armed conflict since World War II. For example, in 1998, about 400,000 people died in Africa due to wars, but more than 2 million children died in Africa of diarrhoea. In practice, this means we put an end forthwith to all practices currently followed that pose great threats to the ecosystem. Three-fourths of the earth’s surface is covered with water. About 97% of this water is in the oceans – it is salt water and therefore not directly useful for drinking and agriculture. However, that does not mean seawater has no role to play – that comes later. For most of our use, we need fresh water. 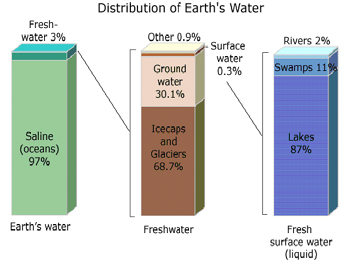 Only 3% of the water available on earth is fresh water. Seventy-three percent of this 3% has been locked by God as “fixed deposit” in icebergs! (To know more about ice-bergs go here). Of the remaining 27%, some is present as water vapour, some is present in lakes and rivers, and all the rest is underground. It turns out that most of the freshwater on land is actually below ground. We must note at this point that the amount of freshwater available for use by humankind is fixed. What is available today is the same as what was available a hundred years ago and is also what would be available a hundred years from now, unless man does something drastic to change Nature’s rhythm, which he well can. This implies that as the years roll by and the population keeps on growing, the per capita availability of water would constantly shrink. If mankind seeks to march on ignoring this RED LIGHT, then it sure is headed for trouble. How that is likely to happen would be considered later. Where is Earth's water located and in what forms does it exist? That question is answered in the bar charts above. What we see is that most of the water on earth is salt water that is in the oceans. Only about 3 percent is fresh water. Most of this fresh water is locked up in glaciers and icecaps, mainly in Greenland and Antarctica. Thirty percent of this 3% of fresh water is ground water. Notice that surface water is only about 3/10th of one percent of the fresh water on earth; and yet, this is where many get their water for everyday use. Water is not tucked away into “tight compartments”; on the contrary, water on earth moves in a constant and never-ending cycle, with Nature recycling fresh water over and over again. Thus, the water one drinks today might have been drunk before by a dinosaur! The water cycle in Nature is called the hydrological cycle. As should be evident from the above graphic, man can interfere with this cycle of Nature in many ways – he can disturb the atmosphere, he can disturb the natural flow of water back to the sea, he can affect the temperature of land, air and water, and so on. Until the twentieth century, man did not have this capacity to influence the hydrological cycle in a big way. Today, the situation is very different. Even as his demand for water is skyrocketing, he is also disturbing the hydrological cycle in many ways. In this sense, we are facing a double disaster. The question is often asked, “How much of fresh water is there on earth, and is there enough water for all?” In answering this question, the prime fact we must remember is that of the fresh water available on earth, there is only so much we can actually draw every year. Next comes the question, “How much is available in the various regions of the world?” An answer to this is available in the map below. While studying this map, we must remember the following: 1) If the per capita availability of water per year is less than 1000 cubic metres [CM], then there is said to water shortage in that region. 2) If the availability is between 1000 and 1,700 CM, then there is said to be water stress in that region. If we keep this fact in mind, then the map above shows that in 1995, there was water shortage in many parts of the world where people were also poor. A study by the World Resources Institute estimates that by the year 2005, roughly half the world would be experiencing water shortage or distress. Let us now take a brief look at the demand for water. A long time ago, water usage by mankind was restricted to drinking, agriculture and domestic needs [such as bathing, washing clothes etc.] Today, that has changed enormously. The box on the left offers a graphical summary of the current usage spectrum. As is evident, in most of Africa and many parts of Asia that are still backward, water is used mostly for agriculture. In Europe, on the other hand, industry competes strongly with agriculture for water while in North America it is industry that is the biggest consumer of water. Few realise how much water is used by the steel industry, the chemical industry, the semi-conductor industry etc. This factor must be kept in mind while discussing the per capita availability. Not surprisingly, as the standard of living increases, the per capita consumption of water also increases – see, for example, the below table, which gives an idea of the daily usage of water by a person in America . The following table prepared from data taken from the US Environmental Protection Agency, indicates approximately how much water is used by a person in America in one day. 500 litres that an average American consumes per day is roughly equal to 25 buckets of water per person, whereas a slum dweller in Africa may be able to get only 5 buckets of water per day for an entire family of 6 people. We thus have the following situation: Water is presently needed for more that just drinking and domestic usage. Every person consumes, although maybe indirectly, water for agriculture and for the material products that he wants industry to provide him. Added to that, there are three important complicating factors. 1. The population of the world is constantly increasing, at an alarming rate in fact. This means that even if the per capita demand is frozen at today’s level, more and more water would be required in the future simply because of the increase in the number of humans living on earth. 2. In addition to the above, industry is demanding more and more water because of the enormous growth in consumerism. People are simply buying more and more products, all of which use up a lot of water in the manufacturing stage. 3. Further, existing water sources are being polluted, making them useless; which makes the fresh water resource available actually less than what it was before. In short, we have a situation where we have less and are actually trying to consume more! How can this be a sustainable situation? Even if we are able to manage somehow at present, how long can this go on? And what will happen to the future? From what has been said above, it is clear that there are many urgent issues concerning water that need serious attention. Let us start with the population growth problem. It took all of recorded history for the population to grow to one billion. This figure was reached in 1830. In just one hundred years, the population doubled, that is to say, in 1930, the world population was 2 billion. By 1960, it rose to 3 billion, and today we are over 6 billion. It is estimated that the population is growing by about 80 million every year – to get an idea of what this means, it may be noted that the population of Germany is about 80 million. So it amounts to adding one Germany per year! 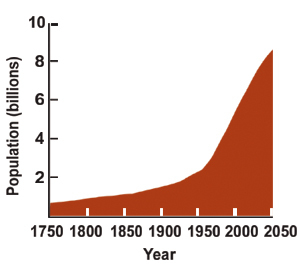 Human population growth is the number one threat to the world’s environment. In particular, it is the one factor that will soon make water availability into a great crisis in many parts of the world, particularly because most of the population growth is occurring in the poorest countries that are also water starved. The big issue of the future would be: “With limited land and limited water, how is one to feed a rapidly expanding population?” As it is, the question is a frightening one; add to it economics, politics, business, and exploitation and you have the biggest problem in human history. Does that mean the end is near? Not really, if the whole of humanity takes Swami’s teachings seriously, as is pointed out in the main body of the article. Some people go to the extent of saying that population growth is the NUMBER 1 threat of the future, especially in relation to water. Since the amount of fresh water available on earth is fixed, if the population grows exponentially, it automatically spells disaster. The gravity of the situation is further compounded by uneven distribution. It turns out that most of the population growth is occurring in regions of the world where there is not much water available. In these regions, there is thus both physical water scarcity and economic water scarcity, which implies that even if water is made available, it would be at a price that most people just cannot afford. On the other hand, most of the advanced countries happen to be in regions of the earth where water availability is much greater. It would thus seem that they do not face any danger of shortage. However, even in this region, the galloping demand by the commerce and industry sector is posing a serious threat. We next consider water wastage. When we talk of wastage, we are not merely referring to the obvious wastage resulting from leaking taps and taps left carelessly open, or even using too much water for flushing toilets. These issues are important and do need to be taken care of; however, there is much more to wastage. Let us start with some aspects of water usage connected with luxury living. A golf course consumes a lot of water. What sense does it make then in a country like India to talk of golf tourism? And yet, there are people who think the country should earn foreign exchange by promoting golf tourism! Incidentally, the water situation in India is presented on the right. The point we are trying to make is that as living standards and life style ascend to the level of luxury, they invariably call for, either directly or indirectly, more and more usage of water – just imagine how much water a family with 3 cars would need just for a car wash! Water wastage thus means much more than taps left open, etc. Few realise that meat eating contributes enormously to water wastage, land wastage and, believe it or not, also energy wastage. Let us focus on water wastage. It is reported that in the United States, the meat industry consumes slightly less than half of all the water used for all purposes in the country. To get an idea of how wasteful this is, consider the following fact. Twenty thousand litres of water are consumed to produce 1 kg of animal protein, whereas to produce 1 kg of wheat, only 200 litres is required. What a waste, quite apart from the cruelty inflicted on the poor cows! By the way, worldwide the cattle feed works out to 735 billion kg of grains every year. Conveyed in a goods train, this would require 12.3 MILLION wagons! That train would span the equator six times!! India gets approximately 4000 billion cubic metres [BCM] of water every year from all natural sources. Out of this, 700 BCM are lost in evaporation and another 700 BCM are lost while flowing on the ground. Further, a large part of the water, namely 1500 BCM flows into the sea due to floods. Thus the remaining available water is only 1100 BCM. Out of this, ground water recharge accounts for 430 BCM per year and the present utilized water is 370 BCM. The balance unutilized water which can be harnessed is 300 BCM. The per capita availability in the year 2001 was about 1200 cubic metres [CM] per year, which is in the distress level. 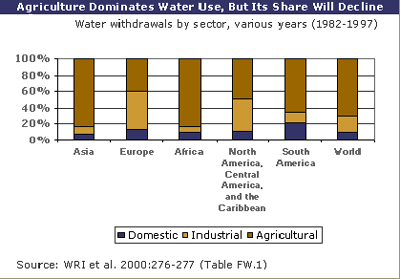 Presently, 92 % of the water is being used for agriculture. The rest goes to industry and domestic consumption. Just consider what would happen if the population grows as at present and India tries to become developed like even Europe. There would then be heavy demands for water from the agricultural sector as well as the industrial sector. And the reserve is not all that much. Does that not spell trouble? 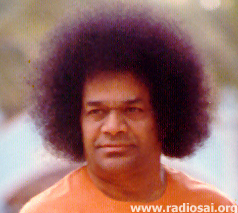 The only way to avoid serious trouble is to take Swami’s teachings most seriously! Many are the arguments given in favour of vegetarianism but few realise that water conservation is perhaps the most powerful! How many know that to produce one kilo of wheat requires 200 litres of water while to produce 1 kilo of meat requires 100 times more that is 20000 litres of water? It is said that the amount of water needed to produce beef for a country like Holland is equal to the drinking water consumed by two billion people in one year! And what about the land needed for raising the food for cattle? In America alone 56% of the agricultural land is used for meat production. In Brazil, the cattle industry is the driving force behind the huge destruction of the invaluable Amazon forest; and that is definitely going to hurt the water cycle and also the environment. The time has come to seriously worry about all this. In addition to wastage, the quality of the water available is constantly being degraded in many places due to variety of reasons. Take fertilizers, for example. Once upon a time, agriculture everywhere was based on natural, organic fertilizers. Nowadays, it is mostly based on artificial fertilizers. Such manure may appear to give high yields but the yield comes with a price that is hidden. Artificial fertilizers have nitrates and phosphates and some of the nitrogen and phosphorous seep into ground water, thereby polluting it – water containing nitrogen and phosphorous is not suitable for drinking. Similarly, spraying pesticides too affects ground water due to water run off from the crops and plants. Once ground water becomes polluted, it is very difficult to clean it up. The pollutants would remain in the water and would come up along with the ground water when it is pumped up for drinking purposes. It is quite expensive to treat water that is polluted by industrial and agricultural chemicals to make it fit for drinking. There is one more source of water pollution that comes via the atmosphere. Many industries discharge highly corrosive substances into the atmosphere through chimneys. These chemicals, sulphuric acid for example, get into clouds and when it rains, come down with rainwater. 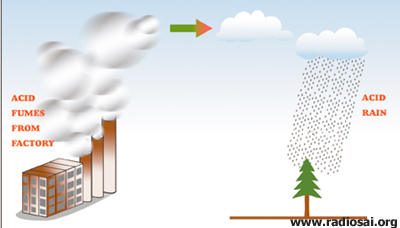 Such rain is called acid rain. 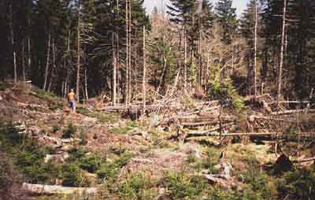 This acid rain causes damage to vegetation; entire forests are known to have been destroyed by acid rain. And when such rain water flows into a river or a lake, they too get affected causing much hardship to people who depend on those sources. Water needs proper management, failing which there can be trouble. Mankind has been taught this lesson many, many times but has failed to digest it. Thousands of years ago, the ancient Sumerians who built up a great civilisation in Mesopotamia learnt this. Mesopotamia is a Greek word meaning the land between the rivers. The Greeks gave this name to the great alluvial plain between the Tigris and the Euphrates rivers, a region that now distributed partly in Syria and partly in Iraq. This region is famous for many civilizations; first there were the Sumerians, then came the Assyrians and after that the Babylonians. The Sumerians were very advanced in many branches of human endeavour. Among other things, they had an elaborate irrigation system, the water being taken from the source by canals to irrigate farms. Some of the water was used by the crops, some evaporated, while the rest percolated downward into the ground. Over time, this percolation slowly raised the water table, until eventually it reached the surface of the land. When the water climbed to that level, it began to evaporate into the atmosphere. As this happened, the salt in the water was left behind. Over time, the accumulation of salt reduced crop productivity. This was an environmental flaw that ultimately undermined the economic foundation of this great civilization. A similar thing happened in Central America, in the region now known as Guatemala. Here the Mayan civilization flourished from AD 250 to about AD 900 when it collapsed, once again due to water mismanagement. Water management is not as trivial as it might appear. There are many nuances, and all of them must be carefully considered. Take the case of the State of West Bengal in India and the neighbouring country Bangladesh. This region receives plenty of rain; in fact, in Bangladesh, floods are quite common. Rainwater is free from arsenic and yet, millions of people in this region are drinking water heavily contaminated with arsenic. Why? See the box on the right for a further discussion, but here is one illustration of how important water management is. Water is as important to plants as to humans. The river, we know, plays a vital role in the hydrological cycle. If waters from all the rivers are used up and not allowed to flow into the sea, then the salinity in the sea near the delta of the river would rise sharply, in turn affecting the marine biology of that region. What this tells us is that water management goes hand in hand with a number of other factors, most of them ecological. Floods in recent years in Europe and China have demonstrated that when excessive habitation is built up in the natural drainage path of water flow from the mountains, there are invariably massive floods when there is heavy rainfall. The recent floods in Mumbai [Bombay] brought home this lesson, as we described in the cover story of the September issue of H2H. In other words, water management must look not only into the needs of man but must also accommodate the needs of Nature. The State of West Bengal in India and the adjoining country Bangladesh, both receive plenty of rain. Bangladesh in particular, is often ravaged by floods. Given this fact, one would imagine that in both these places, people would not have to depend on borewell water for drinking. Strangely they do, and that has led to an environmental health disaster, affecting millions of people. Why have the people in this region been forced to use borewells, when so much rainwater is available? There is a good reason. Thanks to lack of proper sanitation, in almost all places in this region, the rainwater that accumulates in shallow wells and ponds is contaminated by bacteria. This caused severe water borne diseases of many kinds and in order to get out of this problem, borewells were sunk. At first, there was no problem with borewell water but as soon as the water table fell, arsenic rich layers were encountered. Now arsenic is widely distributed through the earth’s surface, and when water flows through arsenic-rich rocks, arsenic gets dissolved into the water. Sustained drinking of water contaminated with arsenic is harmful to health, and leads to skin cancer, lung cancer, cancer of the bladder and of kidney. It is now estimated that millions of people have been affected by arsenic poisoning in this region. Arsenic in ground water is not easily removed and there is thus a huge problem in West Bengal and neighbouring Bangladesh . What this tragedy highlights is the need for proper water management, as also the link between water issues and sanitation issues. With good sanitation, many water-borne diseases can be avoided, and there would be no need to go for ground water. Because sanitation was neglected, millions now have to pay the price. Agriculture is vital for food security but must be pursued with care, that is to say, must be practised so that there is no serious loss of top soil. When the earth was first created, its surface was covered mainly with rocks. Soil formed over a period of time due to the weathering of rocks. It was this soil that supported early plant life. As plant life spread, the plants protected the soil from erosion due to wind and water. This enabled the soil to support even more plants. In other words, the symbiotic relationship between plants and the soil not only facilitated the accumulation of top soil but also promoted biodiversity. The top soil layer is not very thick; it is only a few centimetres but plays a vital role. When man started to farm, he essentially transformed virgin land into farmland. Ploughing digs up the land, exposing the top soil to wind erosion. Watering of the crops causes additional loss of top soil when the water flows away from one region to another. In the beginning, man grew food in order to feed only his family. Soon, crops became a marketable commodity and a basis for commerce. At that point, man did everything possible to increase productivity by planting crops again, almost immediately after a harvest. This seemed to improve productivity, but did not give time enough for the land to recover from the earlier harvest. Net result, after some time the land became almost useless for growing crops. A spectacular example of this type of disaster is provided by what happened in Kazakhstan. Way back, in an effort to boost agricultural output, the authorities in the erstwhile Soviet Union brought vast areas of grasslands of Central Asia under the plough. Grasslands that for centuries had kept the top soil bound were now converted into farms where wheat was grown. The area cultivated was equal to the entire wheat area of Canada and Australia combined – a huge area indeed. There were of course bountiful harvests to start with but thanks to over ploughing, there was also top soil erosion, whereupon productivity fell. 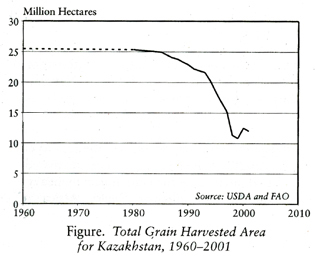 In turn, this led to the abandoning of several millions of hectares of farmland - see the graph on the right. What this shows is that if soil erosion proceeds too far, good land is converted into desert, becoming wasteland. Incidentally, in regions of Kazakhstan where farming is still pursued, there has been a sharp decline in the yield; the yield is only 1 ton per hectare, compared to 7 tons per hectare in France. Water becomes polluted in many ways, some of which were mentioned earlier. By far the greatest source of pollution is industry. Industry not only consumes huge quantities of water but also produces a large amount of industrial waste. For decades, these wastes were recklessly discharged into rivers and lakes. In the beginning, no one noticed the harmful effect of such discharge but after a while, the disastrous consequences were more than evident. For thousands of years this beautiful lake remained pure and in its pristine condition. Trouble started in a big way in the mid-fifties of the 20th century, when the erstwhile Soviet Government set up a huge paper mill on the shores of this lake. The main task of the mill was to produce a kind of super cellulose that was to be used in making tyres for Soviet military jets. The plant polluted the lake heavily but in those cold war days, no one really cared. Additional pollution came from the Selenga River. To read more about Baikal, go here. In India, for thousands of years, River Ganges was considered holy and sacred; it still is. However, in the last fifty years or so, untreated sewage is being dumped by just about every city and town the river passes through. It is an irony that people while venerating the Ganges are not bothered about the alarming pollution caused to it. This is but one example of the ways in which modern man worships God but does not bat an eyelid in harming Nature. The hydrological cycle that circulates water, is critically dependent on weather. Today, scientists are talking anxiously about climate change caused by man interfering with Nature. The biggest factor expected to influence climate is carbon dioxide emission from automobiles, from industries using coal and oil, and from powerplants producing electricity by burning oil or coal. Apart from carbon dioxide, there are other molecules that contribute to climate change, but CO2 is the most worrisome one, being most abundant in the emissions that result when fossil fuel is burnt. What happens when a huge quantity of such molecules is discharged into the atmosphere? The graphic on the right offers some perspective. 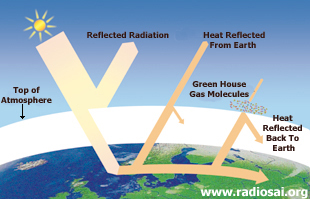 In essence, these emissions cause the heat radiated by the earth to get trapped by the atmosphere instead of escaping into space. When heat is so trapped, the average surface temperature of the earth increases. This is what is referred to usually as global warming, and is largely a man-made phenomenon. Global warming can produce terrible consequences. It can change the weather pattern drastically, leading possibly to extensive drought in some areas and severe floods in others. More worrisome is the fact that when the earth warms, the ice in the polar caps would melt, discharging a large amount of water into the oceans, thus dissipating the “fixed deposit” of fresh water gifted by God to living beings. In turn, this melting of the polar ice caps would not only make its own contribution to climate change but also cause the sea water level to rise. According to one projection, in the 21st century, the rise in water level could be as much as 1 metre. If that happens, many small islands would go under, while many coastal countries could lose large portions of their territory. For example, a World Bank analysis shows that Bangladesh would be hardest hit, losing half its rice producing areas. One can go on and on with this kind of discussion but there is no need to. What is important is the question: “Where do we go from here?” Although we are focussing on water, it turns out we cannot discuss the issue of water in isolation, since the water issue is heavily interlinked to a number of other problems. At the same time, if one tries to address all these problems together in a political or socio-economic fashion, the solution would be well nigh impossible since there would be so many competing factors. From a macro point of view, there are only two basic choices. The first is to carry on as at present doing a bit of tinkering here and there in the name of problem solving. Indeed, that is what is happening presently, most of the time. This pretence of problem solving can go on for some time but one day, disaster is bound to hit and hit hard. The other option is to read the writing on the wall, go to the root of the problem and devise a solution based on sound fundamental principles. Impossible though it may appear, this solution IS feasible, and that is what we shall consider. If one examines the current situation carefully, one would find that we really have a nasty problem on hand. What is worse is that we are compounding the problem by demanding more water than we really require. To appreciate this, we must first recognise that in life there are five tiers – survival, sustenance, essential necessities, comfort, and luxury. The rich have all, while the desperately poor barely manage to survive. Over the ages, humankind has evolved from sheer survival through various steps; however, the evolution has not been uniform. Thus, the state of development of a particular country or Society may be indexed by the level to which it has risen. In countries that enjoy a high standard of living, even luxuries have become “necessities”. But does that mean that these luxuries are really necessary, especially when mankind has to pay a high price in terms of energy consumption, water consumption and pollution? Does that mean some can enjoy arbitrarily high standards of living while others must restrain themselves so that the supply of resources for the rich is assured? Obviously that is asking for the moon; yet, that is precisely the lecture that the haves give to the have-nots! “We arrived first and so we are entitled to what we have; you are late and you have therefore got to stay behind.” Will this work? 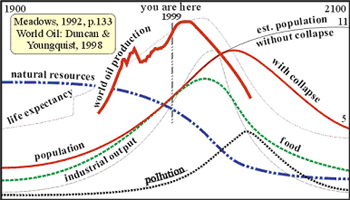 If the present pace of growth is maintained and there are no changes, then within less than 100 years, Society will run out of the nonrenewable resources on which the industrial base depends. Piecemeal approaches to solving the individual problems will not be successful. The impending collapse can be avoided only by an immediate limit on population and pollution, as well as a cessation of economic growth. To read more about the Club of Rome Report, go here. Decades ago, a group of concerned people met in Rome and thrashed this entire thing out for many days. In the end, they issued a report, which is known as the Club of Rome report. In essence, what the wise men of Rome said was that mankind must seriously practice CEILING ON DESIRES. Imagine that! This is Swami’s constant advice to all of us, and the very same thing was advocated by a group of serious economists and intellectuals, many of whom probably did not believe in God. 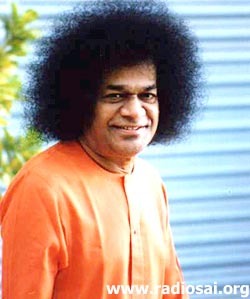 The difference is that whereas Swami is advocating a ceiling on desires from a spiritual point of view, the thinkers of Rome called for a ceiling in order to save the world from the consumption disaster. The Club of Rome is not the only one to be worried about the future. In the context of water, for example, the UN has been expressing much concern lately. Reproduced below is a message from the Secretary General of the UN, drawing attention to the water problem facing humanity. The UN is no doubt making many laudable efforts in the cause of humankind, but in the ultimate analysis, problems of the world cannot be solved by politics, by economic planning, by World Bank or IMF loans, etc. 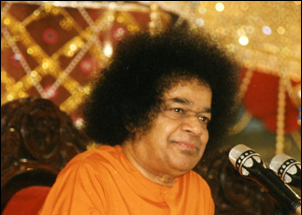 They can be solved, as pointed out in the main article, only if man transforms, and the call for transformation is coming solely from Swami, who is also setting a personal example in so many different ways. Water is essential for life. Yet many millions of people around the world face water shortages. Many millions of children die every year from water-borne diseases. And drought regularly afflicts some of the world’s poorest countries. The world needs to respond much better. We need to increase water efficiency, especially in agriculture. We need to free women and girls from the daily chore of hauling water over great distances. We must involve them in decision-making on water management. We need to make sanitation a priority. This is where progress is lagging most. And we must show that water resources need not be a source of conflict. Instead, they can be a catalyst for cooperation. Significant gains have been made. But a major effort is still required. That is why this year marks the beginning of “Water for Life” Decade. Our goal is to meet the internationally agreed targets for water and sanitation by 2015, and to build the foundation for further progress in the years beyond. 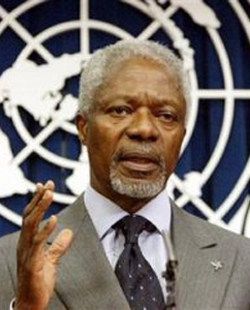 There is an urgent matter of human development, and human dignity. Together, we can provide safe, clean water to all the world’s people. The world’s water resources are our lifeline for survival, and for the sustainable development in the 21st century. Together, we must manage them better. The UN’s concern is very legitimate since there is a great danger in the future that wars may fought over water rather than land or oil. It is necessary to understand the profound difference between the two approaches one based on pure socio-economic considerations and the other based on moral grounds. The Mayans, our grandparents, always said, every human being occupies a small piece of Time. Time itself is much longer, and because of this they always said that we must care for the earth while we are on it because it will be a part of our children, and of our grand children. They know that life is short, that it can end soon, and if that one gets lost on the way, others will come to take their place. In the past, wars were fought for gaining control of land and oil resources. Experts now say that in the not too distant future, wars would be fought over water. This is not a fanciful prediction because, in the Middle East, there are already loud rumblings. In Africa too there is a strong prospect of war clouds gathering, over who is to get how much of the waters of the famous Nile river. To read more about Water Wars, go here. That you will realise that you cannot eat money. - A poem of a native Indian tribe in North America. The following is an extract from an article by Mr. Rajamani, a retired officer of the prestigious Indian Administrative Service. Throughout his career, Mr. Rajamani has been passionately devoted to environmental matters. The article which is the source for the following appeared in Wasteland News, May-July, 2004. By the way, Mr. Rajamani is a devotee of Swami. Why have we reached this stage in our existence where our own future, leave aside that of our future generations, is put at such a risk? It is easy to ascribe this as being due to overpopulation or the inevitability of economic growth where some sacrifices are inevitable. But the more deep causes are cultural in nature. The values of conservation and proximity to Nature, which prevailed for centuries and even permeated religious and other beliefs, particularly in countries like India, are facing erosion. The dominance of the human species ignoring the equity if not the equality of all living things and organisms has reached a point where it is endangering our own survival. Unlike ancient cultures, we now see natural resources as those to be subjugated, used and even overused in the name of better management! The surprising aspect of these developments is the utter disregard of the interest of our own future generations who will find that non-renewable resources have already been exhausted, and renewable resources have been harvested to the point of no return. What is required is a cultural attitude where the spirit governs us as much as matter. 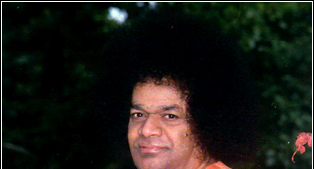 Contentment and being able to make do with less, altruistic practices that avoid driving the weak up the wall, respect and compassion for all living creatures which should include plants, shrubs and trees – these and more that our saints and scriptures have imbibed in us should drive us, rather than greed and an attitude of the devil taking the hindmost. The thought for the tomorrow and the lives we shall ourselves create for living in it should ever be at the back of our minds as we use our soils, water and biodiversity. The Club of Rome advocated a ceiling on consumption for the simple reason that if there was no such ceiling humanity would perish by trying to achieve limitless growth in a finite world. The advice is thus purely practical and for escaping disaster. Swami’s approach is different. Thousands of years ago when He came as Krishna, Swami gave the same advice. In those days, there were no environmental or scarcity problems as faced now; yet the Lord wanted everyone to practice a ceiling on desires. Why? Because desire is man’s greatest enemy and the gateway to hell. Desire is what binds us to this world. It is what breeds attachment, and in stages takes us through greed, jealousy and anger, all of which cloud our judgement with fatal consequences. Excessive desire is thus always bad because it makes us crave for the transient instead of yearning for the Eternal. And in these times, desire is what consumerism preys on, and consumerism is what is responsible for the ravaging of the environment. Through the clever use of the media, today’s business world is multiplying our wants, making us crave for things we simply do not need. I do not believe that multiplication of wants and machinery contrived to supply them is taking the world a step nearer its goal …….. I whole-heartedly detest this mad desire to destroy distance and time, to increase animal appetites and go to the end of the earth in search of their satisfaction. If modern civilization stands for all this, and I have understood it do so, I call it satanic. It should be obvious from all that has been said that the sanest course for humanity to follow at this critical juncture in human history is to curb our desires as much as possible. Curbing desires is not possible if mind and sense control are not made priorities. The moment desires are curbed, wants would be curbed. The moment wants are curbed, consumption would come down. The moment consumption comes down, demand on water, energy and raw materials would also come down. Sustainable development, which right now is not even a dream, can be achieved. And, when water is not recklessly consumed by industry as is happening now, there would be more water for meeting genuine requirements, starting with drinking. People may not be willing to accept all this, even if they understand that what is being said is true. The reason for this is the trickery that the Mind is capable of. As someone said, the Mind can delude anyone into believing anything. 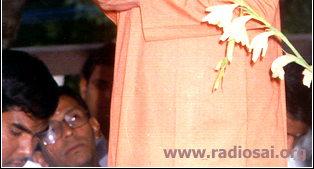 It is for this reason that Swami has given spirituality the prime importance, rather than economics, and social policy. Once one is committed to the spiritual path [which means mind and sense control], one would be focussed totally on what is good carefully avoiding all that is bad. Such a person would automatically revere the five elements, will see God in water, will not waste water [see Water Harvesting on the right], will not do anything to encourage the wastage of water. Water harvesting is the name given to an organised effort to collect rainwater and make use of it later, in the place where the rain falls. Water harvesting is nothing new. In South India , for ages, people used to collect water in tanks and use them for irrigation. Indeed, for centuries a good part of the agriculture in State of Tamil Nadu used to be based on tank water. It was only with the advent of British rule when big dams came to be constructed, that people in many places began to depend on water distributed through canals. Water harvesting is needed not merely for agricultural purposes but also for providing drinking water, especially in urban areas. 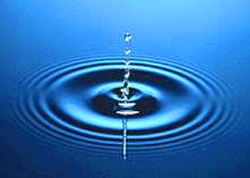 To know more about Water Harvesting, go here. Such a person indeed will do everything to preserve the ecosystems and preserve the ecobalance that God has established. 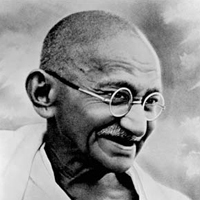 “….However, modern man is totally lacking in character and virtues. No wonder both peace and happiness elude him. Because of man’s misconduct and immoral behaviour, there is pollution everywhere – in air, water, land, and food. All the five elements have been severely contaminated, consequent to man’s unbecoming behaviour. If man behaves properly, is pollution of the elements conceivable? It is all due to the extensive prevalence of immoral feelings and improper behaviour. But man has forgotten God’s words, and it is to remind us of that Swami has come in our midst. 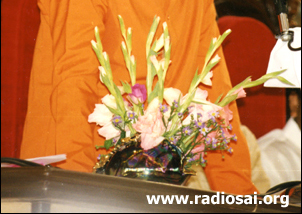 Thus, the best cure for the present malady is to pay serious attention to Swami’s teachings. We must live, as God want us to live. God says, “Use this gift of life to come to Me. 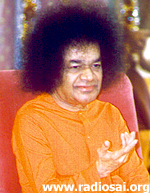 That you can do by strict control of the Mind and the senses.” If indeed we live as Swami advices us to, where is the time for desires to have their play? If desires wither, how can consumerism survive? If consumerism collapses, then misuse of air, water and land would automatically diminish and even vanish. It has been said that the earth has all that is required to meet the needs of all the people living on it but not enough to satisfy the greed of one single man. That is indeed true, and it stresses the importance of keeping desires severely under check, especially in this day and age. And we must do this not merely for preventing disaster but more so for being in harmony with Nature and God. It is such harmony that is expected of humans and not degrading into a consuming machine. Swami’s drinking water projects about which we have featured many articles (See Previous Issues), may look like just acts of compassion. 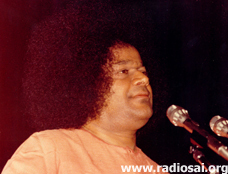 Acts of Divine Compassion they undoubtedly are, but they must also make us sit up and introspect deeply on how man must deal with the innumerable bounties that God has provided him with. Must he squander them thoughtlessly or use them wisely so that all are benefited and not just some at the cost of others? That is the question!